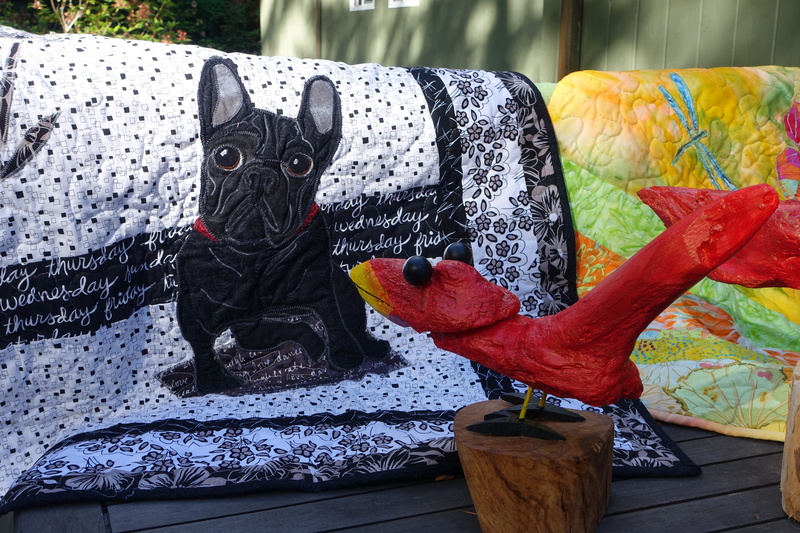 This is a cute yard bird having a look at a very cute Garden Quilt. Both of these pieces were at the Horticultural Centre this weekend. We hope to have work in the Sidney Fine Arts Show in October. We’ll be taking our entries to Sidney for adjudication in a couple of weeks.